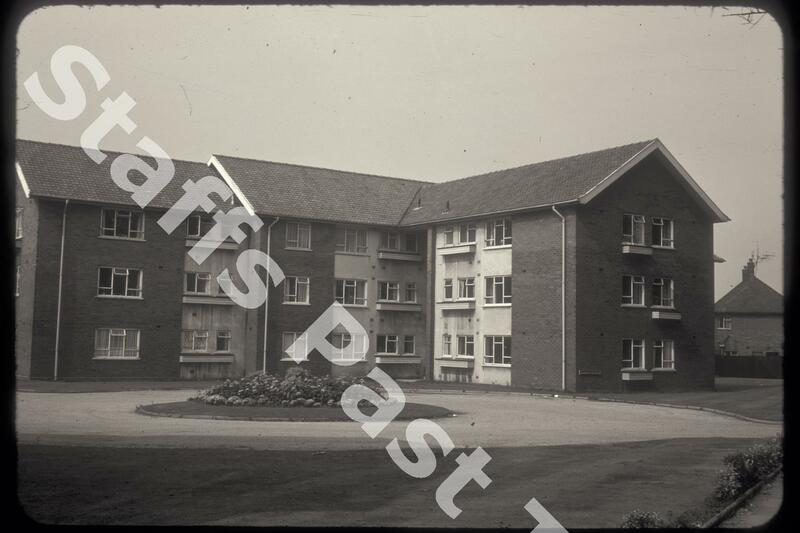 Description:Barker House is a block of flats on Ripon Road in Blurton. the block was built in the late 1950s. 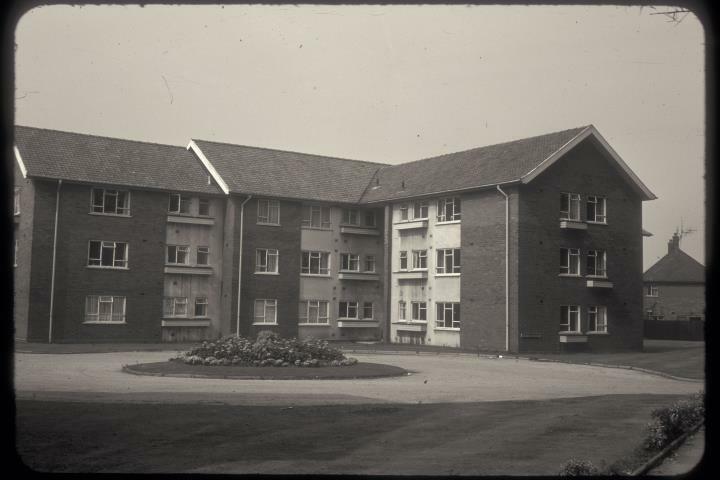 Bert Bentley described Barker House as "professional peoples flats".